In this video I show an easy way to learn and remember the moves for Hollow Braid (Edo Yatsu). 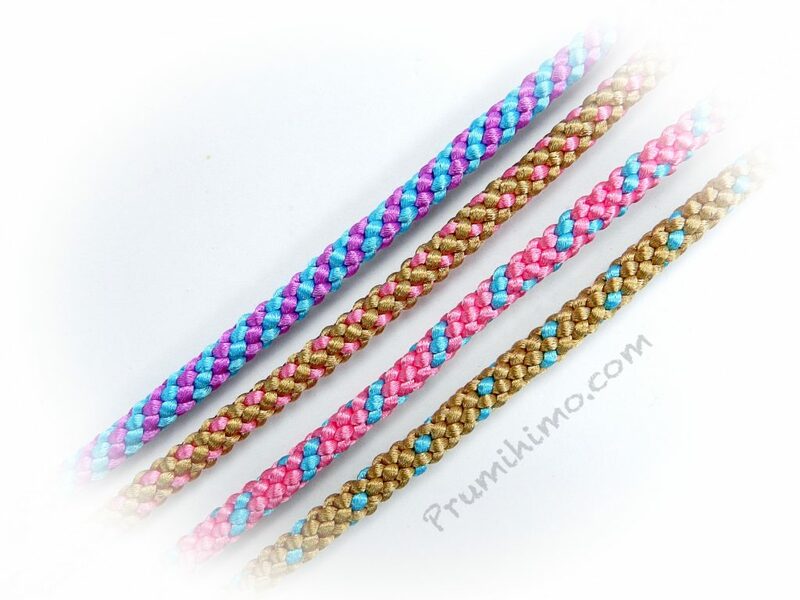 This is a beautifully sturdy, yet flexible braid, with a hollow core. The core remains closed unless beads or a cord are inserted. The braid is great for lariats and pendants. If you would like to see step by step photos of how to make this braid, please click here. This is a useful variation of the traditional 8 cord braid, which enables you to make a slimmer braid with a slightly triangular profile. It is therefore quicker to make and requires less cord. I show two colour setups in the video. If you would like to play with different colour combinations you can have a play with this very useful pattern generator. 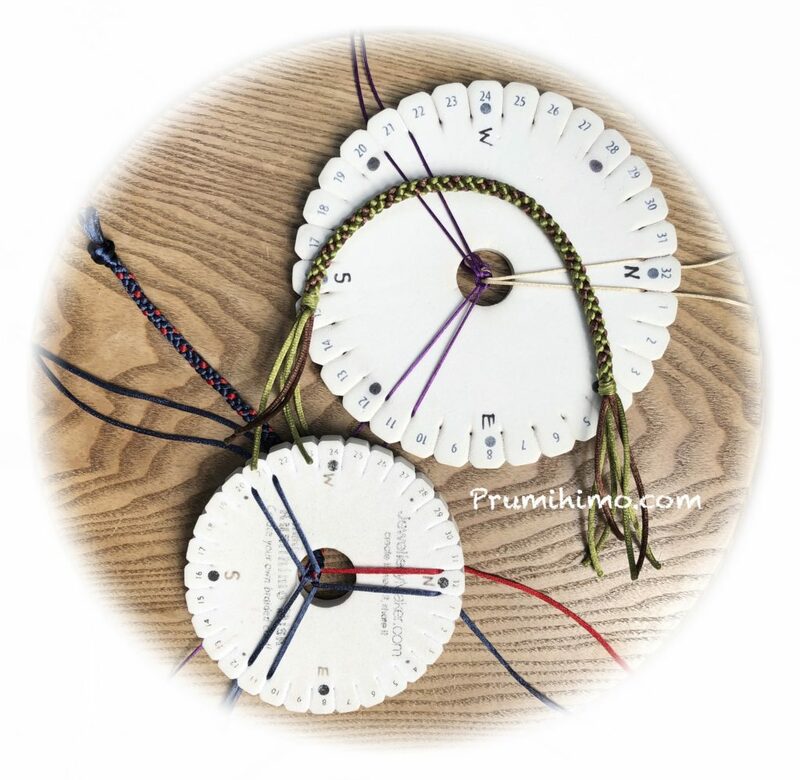 You can adjust the cord colours and number of cords to see what the braid would look like and you can also work it the other way and tap on the braid to see where a particular colour should be positioned on the disk. Click here for the pattern generator.